News Flash : Kennedy International Software Inc. is successfully completed 18 years ** Kennedy International Software Inc. is an Equal Opportunity Employer ** Kennedy International Software Inc. E-Verify Employer. Kennedy Soft provides a range of Microsoft Dynamics – familiar and adaptable Enterprise Resource Planning (ERP) and Customer Relationship Management solutions and services. 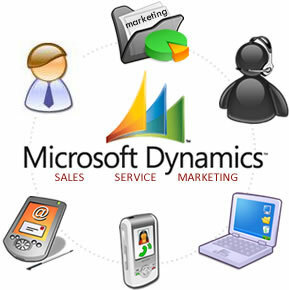 Kennedy Soft's Microsoft Dynamics offerings are designed to meet almost any business need and help assist in accurate decision making. With our Microsoft COE and deployment of Microsoft's Sure Step Methodology from Diagnostic to Deployment stage we offer tremendous value in the Dynamics space. Kennedy Soft's delivery capabilities are further enhanced in leveraging its domain practices of Manufacturing, Healthcare and Life Sciences and Retail. These practices are key contributors in addressing customer requirements on the dynamics platform. Add on portal to capture secondary sales for FMCG Industry. Prepackaged back office solution for retail industry with Smart Shop connector.